Gold River is a prestigious planned community just outside metropolitan Sacramento in Northern California. Gold River Community Association (GRCA) is the master association for 25 separate sub associations, also known as villages, within the community. Over 900 acres of land adjacent to the American River has been converted into Gold River. It is an innovative community, combining the finest in contemporary living with the colorful heritage and natural beauty of the area. 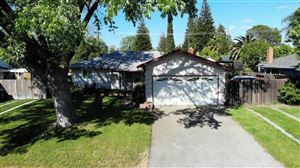 In the late 1970s, Natomas Real Estate Company began the preliminary planning on the property which, in 1980, was named Gold River. Their goals were to develop a community that would be a desirable place for people to live and where the property values would be protected. In order to accomplish these goals, they decided that a strong community association was necessary. The Gold River Community Center was built and opened the summer of 1990. Gold River offers many individual and distinctive neighborhoods; all featuring creative concepts in design and energy conservation. Comprising of 25 sub associations, often referred to as villages, and 2,735 lots, sizes of homes are varied to meet a broad spectrum of family needs; there are single family homes along with townhouses and condominiums for active or retired people who choose not to maintain a home. In short, there is a neighborhood in Gold River to meet the lifestyle of almost everyone. As the needs of residents change, they can move from one neighborhood to another without uprooting their families. Children can still attend the same schools, friendships can be maintained, and overall routines need not be disrupted. The neighborhoods of Gold River join together to make this community unique, and its growth has been guided by a carefully crafted master plan. It has provided for strong, protective land use covenants and architectural controls, assuring preservation and enhancement of property values; a protection of every homeowner's investment in the community. Part of what makes Gold River beautiful is the wonderful mature trees that add color, warmth and shade to our properties. With over 80 species and more than 20,000 trees, Gold River has become an oasis for animals and residents alike. The medians along Gold Country Blvd. and Coloma Road were installed to turn two of the busiest roads in Gold River into safer ones. They quickly blossomed into a beautiful part of Gold River's surroundings. This investment in the neighborhoods of Gold River is heightened by the wide range of community activities. The American River Parkway provides miles of paved jogging and designated lanes for bicyclers. There are multiple water sports and activities that take place along the American River. Within Gold River there is approximately 5 miles of peaceful nature trails that wind throughout the villages. 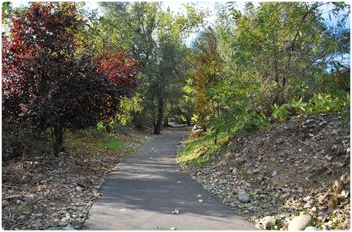 An integral part of the design and lifestyle of Gold River, the nature trails provide a unique area for walking, running, bicycling, and other outdoor pursuits. The Gold River Racquet Club offers its members racquetball, swimming, relaxing in the spa or playing tennis. Shopping is convenient to the community as we are located by the Gold River Town Centre, home to approximately 20 businesses including Bel Air, Rite Aid, and Starbucks. Professional offices and businesses are located in the commercial complexes. The Gold River Discovery Center is a K-8 school located within Gold River. Middle schools and high schools are in surrounding areas.